He’s Here to Rock Your Pizza! It’s an all-new rodent! CEC Entertainment Inc, owners of the Chuck E. Cheese line of pizza restaurant/arcades, have announced a total make-over for the company’s mascot. Gone is the portly circus ringleader (and gone, at least in TV commercials, is Chuck E’s voice of 20 years, Duncan Brannan). In his place is a new slimmed-down Chuck E. in a t-shirt and jeans, sporting a Gibson Les Paul Guitar! 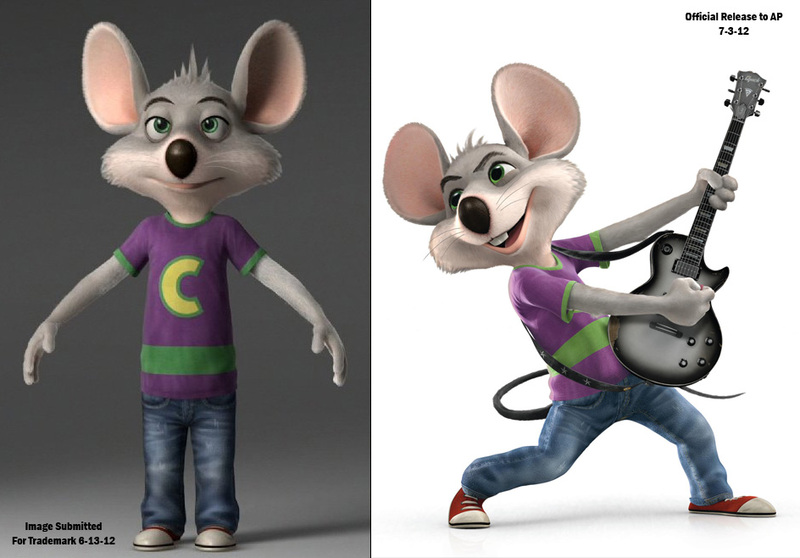 The new Chuck E is voiced in ads by Jaret Reddick, lead singer for the pop-punk band Bowling for Soup (well-known for their song “1985″). ScreenMag.com has the first ad from the new campaign up on their web site. Trivia bit for you: Did you know that Chuck E. Cheese’s pizza restaurant chain was founded by Nolan Bushnell — who also founded Atari?